This being the week of St. Patrick’s Day I am reminded of once being on a tour of Dublin, Ireland when the itinerary called for a stop at a local nightclub for Irish coffee. Since it was afternoon there were no performances; drinks, however, were flowing as our group scattered across several tables. Here I digress to point out that while Irish coffee might seem like a natural for Dublin, that apparently is not the case. Shannon, Ireland is supposedly where the drink began, at that city’s airport during the early days of trans-oceanic flights from the U.S. The city was the first destination after crossing the Atlantic. Passengers were especially grateful to land in those early days because the propeller-driven planes flew lower and practically bounced across the ocean. The planes were not as well pressurized back than so the flights were often frigid. At the Shannon airport café hot coffee was a popular item among the disheveled passengers. Then someone got the idea to enhance the drink by adding Irish whiskey and a splash of whipped cream. 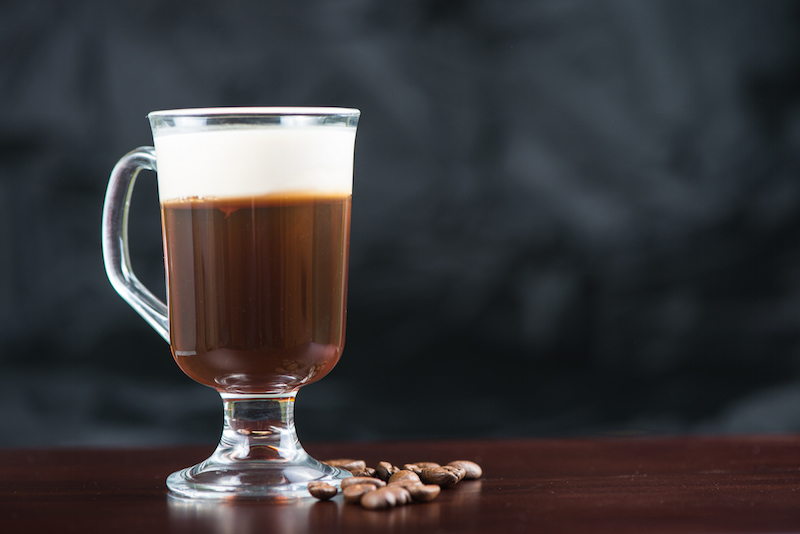 Americans began referring to the drink as Irish coffee. Among the state-siders passing through was a man who worked for the Buena Vista, a bar in San Francisco located near the waterfront. He brought the recipe home with him since San Francisco frequently had a chilly climate. It was a sensation. Thus, Irish Coffee, a drink associated with Dublin, owes its fame to Shannon and San Francisco, each located at the edge of an ocean. Back to the Dublin nightclub. The service staff there was very efficient and we were all sipping within moments. Most notable, however, was the club’s manager who was extraordinarily outgoing. He would not have been faulted for ignoring another group of scruffy, selfie-fixated tourists, but we were more like long lost cousins. The coffee was good, but the experience was even better.